From the gritty realism of the Great Depression in “Mildred Pierce” to the lush haze of the seventies in “The Virgin Suicides,” no one recreates the past quite like ace cinematographer Edward Lachman. We asked him about his secrets and he wrote us two master classes about his long collaboration with director Todd Haynes. In this first part, he focuses on “Carol,” for which Lachman recently won the best cinematography prize from the New York Film Critics Circle. Often in period films there’s tendency to over-romanticize the era. For example, why are the cars always clean in period films? Didn’t they have dirty cars back then? Why is all furniture from that exact period? People own things that are 10 years or 20 years old. Why is it when you look through a window in a period film they are always clean? Why are we always in these perceived golden tones of the past? Simple things like that make an enormous difference. There’s almost this revisionist idea that it was always a better time than we live in now. 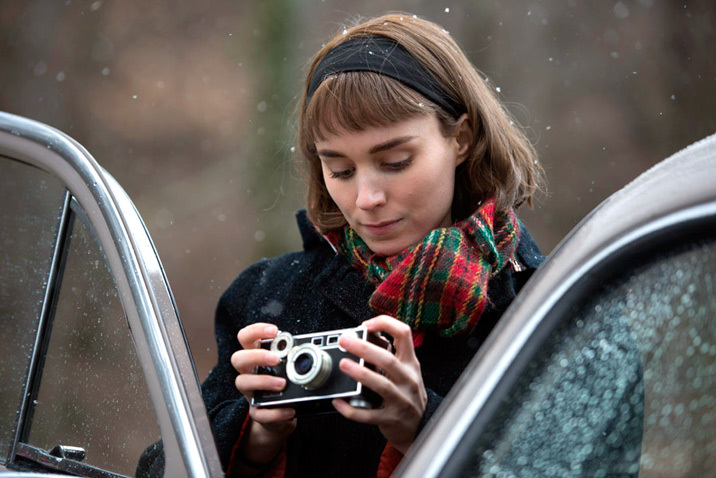 With “Carol,” we did everything possible to not over-romanticize the period. This was a world that was coming out of World War II, where there was a great deal of insecurity. Todd Haynes wanted to reference the pre-Eisenhower period in naturalistic way. 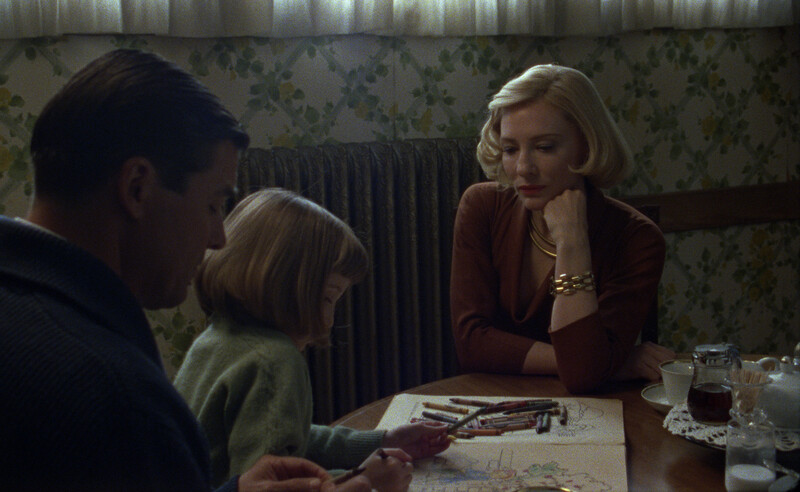 People refer to “Carol” as a melodrama, but Todd likes to think of it as a period love story. We looked at the time not through its cinema, but through its photographers that documented New York. We looked at mid-century photographers like Ruth Orkin, Ester Bubley, Helen Levitt and Vivian Maier. These women were documenting an urban landscape as they wavered between photojournalism and art photography. 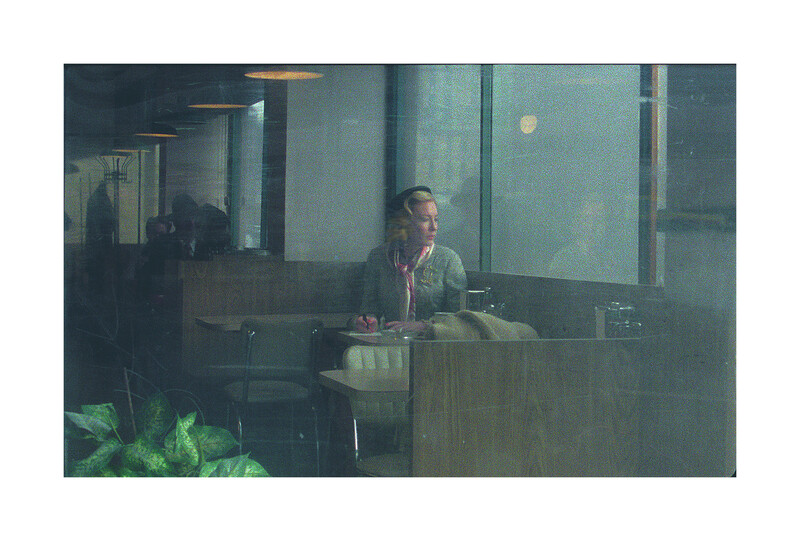 We also looked at Saul Leiter. He was a street photographer, but he was more like a painter. Leiter’s photographs created layered compositions that are obscured by abstractions, subjects were only partially visible as his images were filled with found objects, textures and reflections. By using Leiter’s approach, we are not only creating a representational view of the world, but a psychological one. The characters are hidden, but we still see them through sensual textures of reflections, weather and foggy car windows. For example, by seeing Therese (Rooney Mara) in doorways, partially viewed through windows and reflections, it’s like she’s just coming into focus on her own identity and her ability to form a relationship out of love. It’s a visual way of showing her amorous mind — a way of letting us into her interior world. We opted to shoot in 16mm. We wanted to reference the photographic representation of a different era. They can recreate grain digitally now, but it’s pixel-fixated. It doesn’t have this anthropomorphic quality in which the grain structure in each frame is changing. The actual physical grain of film adds another expressive layer that is impacting the surface of the characters’ emotional being. It has to do with how film captures movement and exposure in the frame — finer grain for highlights and larger grain for lower light areas — that gives a certain emotionality to the image that feels more human. 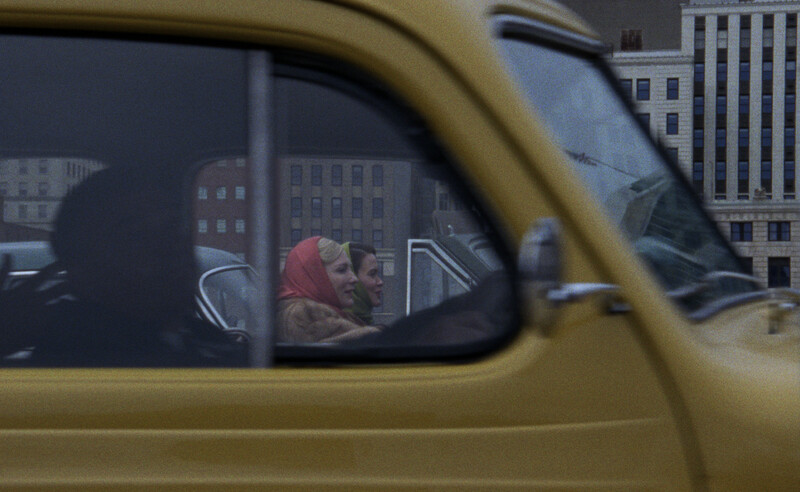 I really believe with “Carol” that people would feel something different than if I had shot it digitally. The other important thing for me with film over the digital is the way color is portrayed. For example, if I have a cool window and warmer lights inside in the digital world they don’t mix the way they do in film. With film grain, there’s a crossover and contamination between warm and cool colors that I don’t find digitally. Digital lacks a sense of depth in color separation the way it does in film. In film, there’s these three layers, R,G,B. For me, it’s almost like an etching where the light is eating into the negative when it’s developed, and even though it is microscopic, it gives a depth to the image that I always feel is lacking digitally. The mid-century photographers were also experimenting with color photography at this time and we wanted to reference ektachrome still film stock. With early ektachrome, there wasn’t a full range of color spectrum as is there is today. Ektachrome had a cooler rendition: the colors were less saturated and tended towards magentas, greens and cooler hues, so we referenced that feeling. In the sets where we did paint, we went back and looked at what the colors of the paints they had used back then. We didn’t want to reference modern colors. That was something we learned in making “Mildred Pierce.” I didn’t realize that people in different time periods saw color in a different way. So much of this came through in how production designer Judy Becker painted and dressed locations, and costume designer Sandy Powell picked the colors for the wardrobe and accessorized the actors. Sandy only used colors, fabric and stitching from the era and I think that captures the feeling of reality. 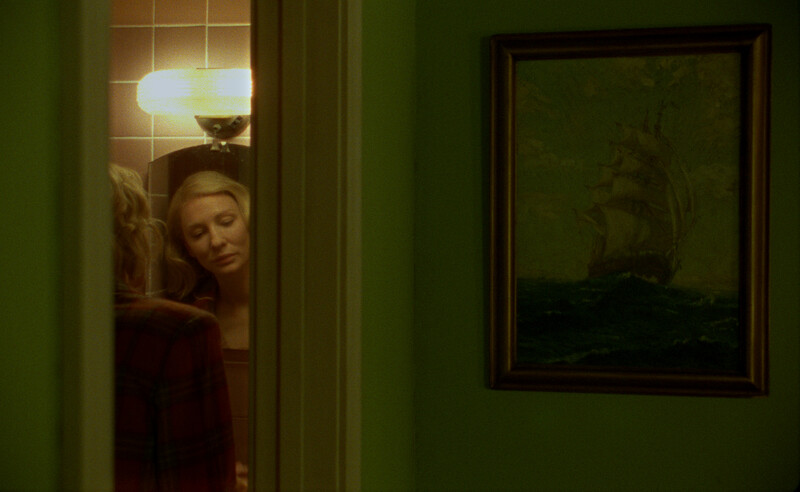 The conceit with “Carol” was to reach for naturalism, from shooting almost entirely on location to the stitching in Cate Blanchett’s clothes. This approach was different than what Todd and I were reaching for with “Far From Heaven.” That was a Sirkian look of the fifties, a world of artifice and manufactured expressionism, which is an entirely different approach to lighting that I’ll write about next week.